Natasha beads, polymer & copper, single-strand necklace, multi-colored blue and oranges. Bonnie Mincu design. 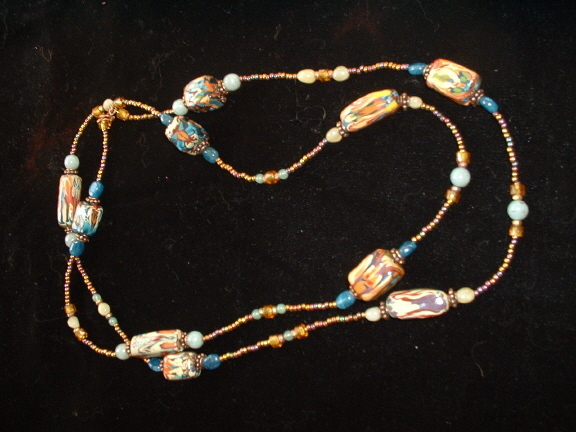 Bonnie's unique multi-patterned polymer beads are the stand-out in this single-strand necklace. Wear it long or doubled. The blue and gold colors and patterns are luscious, coupled with two shades of jade, copper and glass.